This is a revised fourth edition of the hardback first published in 1993. Brian Townsend has now detailed the remnants and ruins of almost every Victorian working distillery in Scotland. 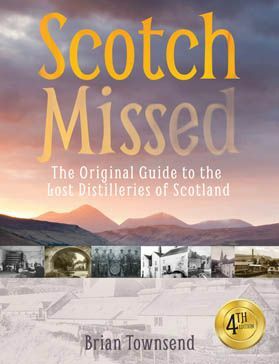 In this new edition he has fully updated the most recent closures and sourced over 36 new archive photographs of many of Scotland's lost distilleries. Over the length and breadth of Scotland, its greatest export has left its mark and this book is a tribute not only to those who struggled against great odds and were finally beaten, but also to those who survived and have prospered. Townsend's detailed research brings to life a large proportion of Scottish industrial heritage which would otherwise have been ignored, and he has enlivened this with interviews of the last people to work those long gone stills. Includes full OS map reference index to all distilleries listed and a full index.